Posted 28 May, 2018 1 October, 2018 Rommel Doctor Jr.
Shopaholics Alert: Christmas is here early! The Great Singapore Sale (GSS) 2018 is starting from 8 June to 12 August, with many great bargains on clothes, electronics, home décor and furnishings, toys, books and all thing imaginable to be found in-store and online! So this GSS, whether you are a retailer who is arranging for shipping of goods to your customers or shoppers paying for delivery in Singapore, it is essential to know about volumetric weight delivery service as not all packages are charged the same. So What Is Volumetric Weight And When Is It Used To Calculate Delivery Charges? The cost of delivering a shipment can sometimes be affected by the amount of space it occupies in a vehicle, rather than the actual weight. This is known as the volumetric (or dimensional) weight, which reflects the density of the shipment. A less dense item usually takes up more volume of space. 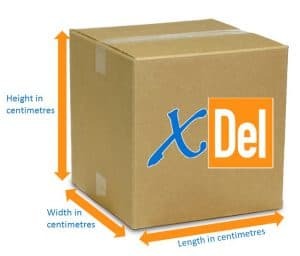 The volumetric weight is calculated and compared with the actual weight of the shipment to determine which is greater; the higher weight is used to calculate the shipment cost. Are you a retailer or e-tailer looking for a reliable delivery partner in Singapore? As one of Singapore’s top 10 courier companies in Singapore, we have a suite of delivery services to suit your delivery needs. From same day courier service to customised time slot delivery to express delivery in Singapore, we can customise a package for your last mile fulfilment to enhance your customer’s experience. Speak to us today to find out more!